Local real estate markets demand constant attention and expertise to successfully realize the goal of buying or selling. Rapid City and the surrounding Black Hills are no exception. The Kelly Howie Team is a full-time, full-service group of licensed Realtors with experience in all aspects of buying and selling process. We effectively utilize creative and cutting-edge technology along with clear and accurate communication to help minimize the frustrations that many buyers and sellers endure when simply selecting a friend, relative or random licensee to represent their best interests in the purchase or sale of real estate. "Kelly Howie and his team were absolutely the most professional, friendly and efficient realty team we have dealt with in the past 17 years / 10 transactions. After 20+ years in the military and moving all over the globe, we have not felt in such good hands as with Kelly, Tony and the rest of the team. There are not enough words to describe our appreciation." 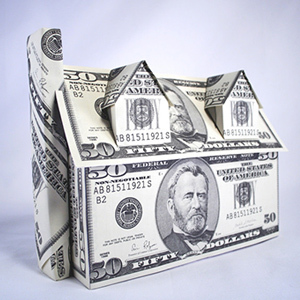 We’ve created a proven approach to maximize your bottom line when selling your property. Whether utilizing our extensive network of clients and realtors, effective marketing campaigns or the cutting-edge tools at our disposal through the RE/MAX system, we don’t just list your home, we SELL it. We pride ourselves on the innovative use of technology along with right experience and time-tested real estate standards to bring top market presence to your home with largest possible audience. The Kelly Howie Team will work to build a solid foundation of communication and respect with every home seller as our top priority. 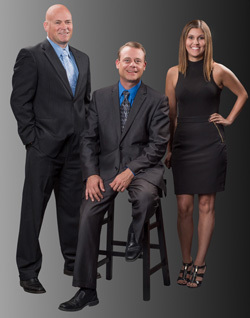 Contact us now to put the top Rapid City Real Estate team to work for you. If you’re serious about selling your home, we’re serious about getting the job done! "Kelly and his team returned every single call….exceeded all our expectations and answered every question. They are in essence the BEST Real Estate Professionals I've ever had the pleasure of dealing with." Our clients appreciate our approach to their needs. Simply put, we ask the right questions and carefully listen to the answers! When we’ve identified your expectations, we are prepared to provide our clients a thorough knowledge of market conditions as well as a comprehensive, step-by-step guide through the process. The Kelly Howie Team will provide all the tools needed to find the right property and negotiate the best possible terms. We will be there to help navigate the potential pitfalls from “accepted offer” until you have the keys and beyond! Through constant monitoring of the Rapid City real estate market, you can rest easy knowing that you will never miss out on the perfect home. Put our years of successful experience in the Rapid City market to work for you. Our team is always available to review your goals and put the right plan in place!